When Chad covers the games he tends to give a full recap and a story of the game and what happened. I’m a bit different. Tonight I’m going to cover the things I notice as the game goes on in more of a “stream of consciousness” style. Of course, the experience from the press box is not the same as the one you will get from normal seats so hopefully I can give you a new perspective. Arriving at the park is such a different feeling when the Giants are rolling and this team is rolling with a capital G. 11 of 13 and and 25-10 since April 21st. The best in the bigs over that time. There was a good feeling at BP. Most guys were raking the ball and for such a small guy the loudest contact was coming off of Duffy’s bat. He has been very impressive since taking over every day at 3rd. His .343 avg is the 8th best in the majors in May. There is no hole in tonight’s lineup for the G-men. Every hitter top to bottom is seeing the ball well which is great since the weather is cooling off quick and it will likely take a string of hits to score runs tonight. When Pagan is your 7th hitter you know things are going well. The only guy struggling is Belt but against a Righty he should be in the lineup. The anthem was sung by a 1st grade class. No notes were hit but the “aww” factor was strong. A.J. Pierzynski still receives boos from the fans here at AT&T park. Michael Morse may be the most beloved one-year Giant and A.J. is definitely the most hated. It’s uncomfortable how long the camera stayed on the kid who yelled “play ball”. Although he didn’t seem to mind. Atta be, babe! When Hunter comes out he always takes a moment to acknowledge the fans in the three areas around right. This man can do no wrong and will go down as an all-time fan favorite in this town. Aoki has been great so far. I think from now on we should absorb someone from every team we beat in the World Series. Just as a rule. I was just here the other weekend and I could have sworn Juan Uribe was, too. Oh well. I guess I’m just hallucinating. Wait. He’s a Brave now?! A nice video package for the Warriors during the break. This may be the Bay Area’s golden age of sports. Make sure you appreciate it everyone. Went to meet a friend who was here in the upper deck and she says she now hates Buster Posey because a friend of hers works in hositality and says he never tips. Cannot corraborate and only one source so I’m still a fan pending a full investigation. Heston with a 2B in the 6th for his first career etra bagger. One of the reasons I hate the DH is it takes away the fun moments when a pitcher does something awesome at the plate. We’ll save this topic for the podcast itself. Kiss Cam is always a joy. Tonight’s fun moment? Camera finds a guy actually in the act of applying chapstick. He goes in for the kiss but clearly he is in the friend zone and gets denied. Hilarious. Belt leaves earth in the 7th and the goys take a 1-0 lead. He hit it much harder than it looked as not only is the weather tough but he went opposite fild as well. He was the coldest Giant coming in so this bodes well. Even though he isn’t the closer anymore Romo still comes in to El Mechon and I love it. It still riles up the locals. Highlight, guy drunkenly doing finger guns to the latin jam. This is a Thursday night in a 1-0 game and the crowd is seriously rocking. I love that we have embraced this style of baseball here in SF. I get the feeling most AL crowds would be bored to tears and missing all the good stuff a game like this provides. The atmosphere is almost like a playoff game. Giants explode for 6 in the 8th on the strength of the magic wandu follwed by some gappers and line drives. The boys look impressive. Final score 7-0. Heston gets the win with 7.1 IP 6K and only 5 baserunners allowed, HR by Belt and 2 RBI for Panik and Pence and the team hitting a blistering 6-11 with RISP. With the Dodgers off for the night that moves the Giants a half game out of first after a terrible start to the year. They are also now 14-3 over their last 17 games at home. This looks like the team that was the best in baseball for a good portion of 2014.. The key now will be health and the moves that they make, if any, at the All-Star break. No bonusode tonight as I covered the action alone but we’ll be back Monday and hopefully the Giants will keep it rolling through the weekend. 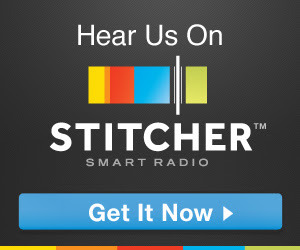 Episode 86: The Reverend is Back! No matter what he looks like doing the things he does, we like the things he does, because it helps others do thing better, and stuff. Hunter Pence is back. And not just on Twitch, but like hitting homeruns and throwing awkwardly from right field. Yes, all is right with the world. Back when the Giants were 4-10, we didn’t panic. We said let’s wait until they have played 40 games, and if they’re at .500 and Hunter is back, they’ll be fine. Welp, they’re 20-18 now, so guaranteed to be at .500 after 40, and Hunter IS back, and had a huge hand in the last two wins, going 4-8 with a homerun and scoring five runs. The Giants have the best record in the NL since their bad start at 16-8, and have a great stretch of games coming to balloon that record. Join Chad and Eric as they discuss the Giants’ recent success as they delve deep into numbers, including Casilla’s immaculate inning, only the 79th in recorded history. Belt is hitting .321 and shutting up his haters, Pagan’s back is acting up, and Bochy names coaches for the All Star Game. Plus, Jeff Loria named his cat as manager of the Marlins. Enjoy episode 86 of the TortureCast! The long nightmare is over. 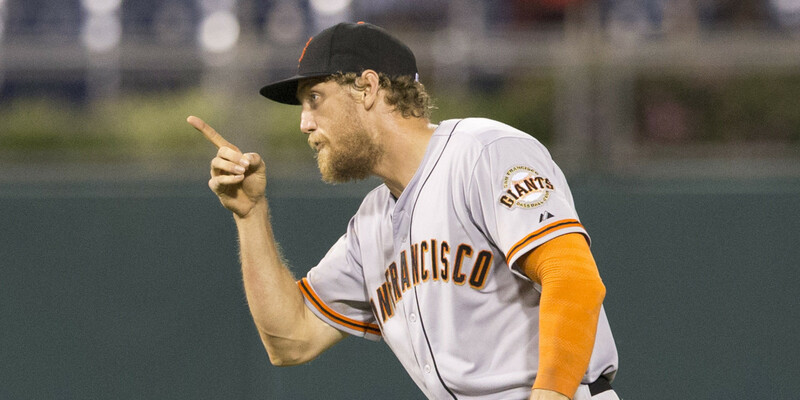 Hunter Pence is returning to right field fo the San Francisco Giants. This Andrew Baggarly tweet rolled across the ol’ Twitter timeline Friday afternoon. A bit of breaking news: Hunter Pence is on his way to Cincy from Las Vegas today, I’m told. Won’t be activated until tomorrow. That is great news for all of us. The world is just a better place with Hunter Pence in the starting lineup. His hustle helps the Giants get through soe rough times. It will be great to see him charging hard through first base and sliding around the outfield. The Giants did a great job of fighting to have a .500ish record while he was injured. Having him back for 2 in Cincinnatti and then a home series with the Dodgers could be a launching point for this team. Or it could not. But he’s such a positive force on that field and in the clubhouse that it has to be a boost for the team. 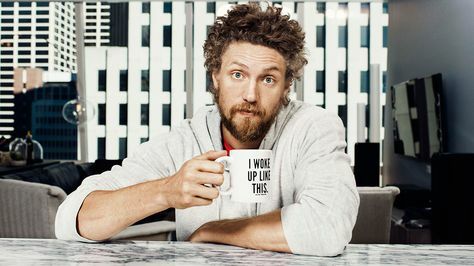 Hunter Pence is back. So who gets sent down to make room for Pence on the roster? John Shea says it’s going to be a catcher. After game, #sfgiants might say who’s coming off roster once Pence is added. Hint: I heard there will be just two catchers tomorrow. If I had a vote. It be fun to have a vote, wouldn’t it? I’d send down Hector Sanchez. The addition of Andrew Susac catching to give Buster Posey some days at first is working out just fine. There’s no need to carry 3 catchers anymore. The bullpen is set right now so shuffling around isn’t needed. The real shuffle happens when “It’s Travis Ishikawa” comes back to the team. But that’s another day. With Pence returning to the lineup Saturday night here’s the batting order I’d love to see on a regular basis. Brandon Belt has been in a funk with a lot of the swing and miss lately. Maybe moving to 6th and lenghtening the Giants lineup will get him going again. Make it happen Boch. On Posey first base days you can just slot Susac in for Belt. You’ll also note that I have Matt Duffy in the lineup. He should be playing everyday. But that’s a whole other post I don’t have in me right now. Today’s news is all sunshine and roses.